iPhone Repair Services – Hello there, Having any iPhone problems? Well, two options could solve these problems. First, one may choose to try and repair it at home using the iPhone repair kits together with the tutorials that are accessible online. Secondly, there is the choice that one can give it for repair to an iPhone expert at any of the authorized iPhone servicing shop. However, repairing the iPhone from home might end up in a huge mess as the circuit. It’s quite sure that the decision to repair an iPhone rather than to have a new one suggests that a person is not ready to part with hundreds of dollar purchasing a new one. It is, therefore, safer to have the iPhone repaired by a specialist. Although getting the iPhone repaired at an authorized shop is quite expensive it is the safest. One may choose to leave the phone at the store or call the iPhone specialist at home. With the increased competition among iPhone repair shops, picking the best could become a daunting task. This might be even more tasking when many repair shops are located in a single area. 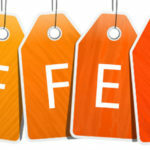 Most of the stores offer attractive incentives to lure customers. Some of these irresistible offers are such as one year warranty on repairs, money-back guarantee among many others. Nonetheless, most of them capitalize on fast and affordable repair services. It is also important to note that due to the many iPhone repair stores that are available, their quick and affordable should not be the only enticing incentive. It is wise to choose the store that has such plus a six months warranty. This is helpful to minimize the emotional burden of deliberating if the right decision was made. This is simply because if the same part or software malfunctions again within the warranty period, the iPhone can be shipped back to be fixed again minus having to care about the repair expenses. iPhone owners should understand that customer service is ordinarily top of the line with most of the iPhone repair companies. They will in many cases explain to their clients the maintenance that is going to be done to their iPhones. Any inquiries can be answered via the phone. They also ship the iPhone using the customers’ choice mode of shipping. In many instances, iPhone problems can be fixed by an iPhone repair company. 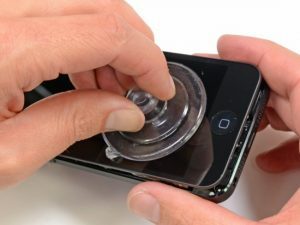 Problems such as glass replacement, battery replacement, camera removal and repair, water damage, diagnostic repair service, home button replacement, earpiece and mouthpiece repairs, power button, dock connector repair and so much more. iPhone repair companies are present in many major towns and cities. However, repairing an iPhone is almost an art and so is choosing a good repair shop. What could have been the end of a cherished old iPhone may be avoided with an excellent repair option?